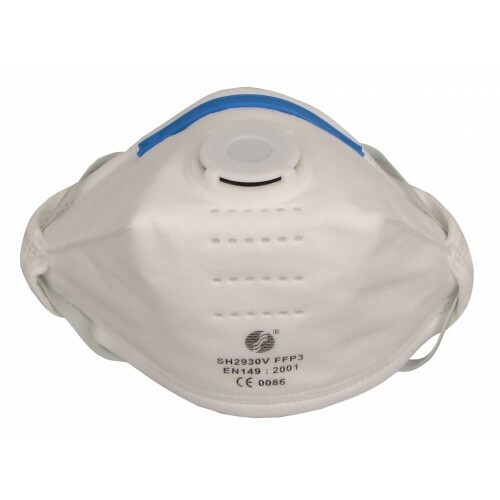 Valved Cup mask. Aailable in a box of 20. FFP 3 grade protecting against high toxicity, solid and liquid aerosols. CE approved and conforms to EN149 which ensures that disposable respirators are used only need to provide protection against solid particles.